After the moon, mars... What if John F. Kennedy survived the assassination attempt and developed the space programme? President Nixon, with the help of former president JFK, has just green-lit NASA's first manned expedition to Mars. Aboard, Natalie York, a geologist who risks everything she loves for the chance to go to space; Phil Stone, former X-15 test pilot; and Ralph Gershon, a Vietnam War hero intent on being the first African American to reach another planet. 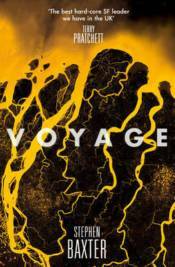 Exploring mankind's presence in the extra-terrestrial expanse, VOYAGE chronicles the incredible story of what could have been.